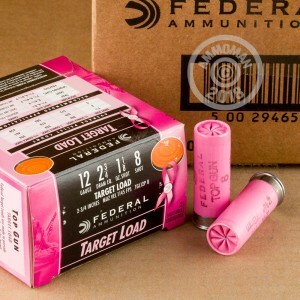 We have a great shotgun shell for our ladies in stock now! We don't mean that this shell is less powerful in any way; a portion of the profits from this ammo go towards the fight against breast cancer! This 12 gauge ammo is just like regular target loads. It has a 2 3/4 inch shell and a 1 1/8 oz load of #8 shot. The only thing different is its pink hull. 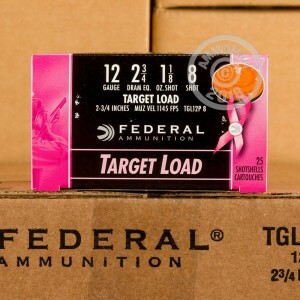 This ammo is excellent for target practice and any kind of sporting clay shooting. It also makes a great gift for any gun owner who wants to support a great cause. 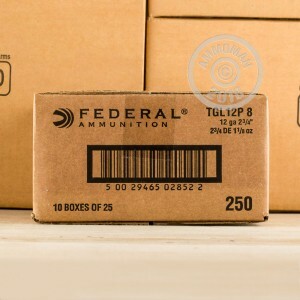 Federal Ammunition was started in 1922 in Anoka, Minnesota and has a legacy of producing top of the line ammunition for all parts of the shooting community. Order your supply of this ammo today and you will be supporting an American company and helping the fight against breast cancer.